500 light years from planet Earth is a small cluster of seven stars located in the” Constellation of Taurus of the Bull” known as Pleiades. The cluster is actually the eye of the bull in the constellation of Taurus. According to ancient legends, the stars are said to be the daughters and sisters of Atlas. Only six of the 100 stars can be seen with the human eye. The inhabitants of Pleiades, known as Pleiadian’s, are a highly evolved humanoid race and the next step in our evolution. It is said that Pleiadian’s are here to help us in our spiritual journey to enlightenment. Cherokee legend states that their people originated in the Pleiades and they came to this world as starseeds of light and knowledge. If this legend is so, then modern day Cherokee Indians, as well as other Native Americans, have Pleiadian genes. Pleiadians have kept a record of the complete history of Earth's human evolution from the very beginning to our present time. They claim the Earth is 626 billion years old. The Pleiadian’s are of a fifth dimensional frequency, which is one of love and creativity; a Goddess Society (which worships family, children, women). 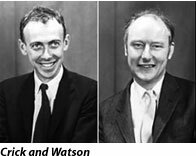 Nobel Prize winning Scientists Dr. Francis Crick’s research postulates that there are genes from over 20 extraterrestrials civilizations in Human DNA. 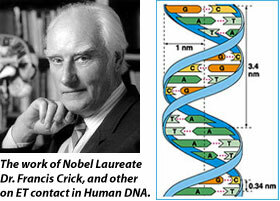 Dr. Francis Crick concluded Extraterrestrial origins in the Human Genome, in relation to his well renowned DNA research. Dr. Salla, an international politics scholar who in 2001 became interested in the study of exopolitics and subsequently embarked on a personal effort to disseminate his exopolitical beliefs and hypotheses via the mediums of the internet, UFO and New conferences, and radio appearances, and his team of exo-scientists indicate that Earth was colonized by E.T. races, including human, insectual, botanical and reptilian species. The Land continents that first supported advanced human colonies were Lemuria and Atlantis. Dr. Salla and other associated researchers confirm the existence of extraterrestrials who can easily integrate with human society as being from star systems such as Lyra, Pleiades, Sirius, Procyon, Tau Ceti, Ummo, Andromeda and Arcturus. These E.T.’s have also provided some of the genetic material for the seeding of humanity on Earth. Exo-scientists claim that the Pleiadian’s are our far distant first cousins and ancestral forbearers of some of our races. Exo-scientists claim that Pleiadian’s have been visiting Earth for at least 79,743 years. The Pleiadian’s are also descendants of the Lyrans who would send down scout teams consisting of scientists and engineers and agricultural specialists who would explore the surface of possible habitable planets and return the data and information to the mothership. One of these planets apparently included Earth. Each planet was explored and based upon its unique nature, colonies were then sent down to settle. It is in this way that the Pleiadian’s are so interested in our world and humanity on Earth. Exo-scientists also claim that the Pleiadian’s are very similar in many ways to humans on Earth, only they are emotionally and spiritually more evolved than Earth humans are at this time. Dr. Salla's and other associated exo-science researchers also indicate that the Pleiadian’s have also gone through their growing pains, much like humans are right now on Earth. The scientists further claim "Pleiadian’s have made attempts to share with us the benefits of their experience so that we ourselves don't have to experience the same kinds of setback and possible destructions, but at present, not enough people on Earth are listening." "The Lyrans learned to adapt and live in complete harmony with their respective planets. They developed agricultural communities that were literally awesome. They were efficient and could feed billions of beings, but it was actually enhancing the planet itself and creating an even wealthier environment. All aspects of life seem to benefit from the Lyran's commitment to be at one with their home planets." At the same time, the life expectancy of living on planets without the kind of pollution, and social oppression on Earth is represented by exo-scientists as apparently "being much higher than on Earth." Exo-scientists indicate that Pleiades life span exceeds human beings on Earth. Pleiades technology has made it possible to travel anywhere in our Universe at speeds faster than the speed of light. "They are capable of using the Earth's oceans for undersea operations," Dr. Salla documents, in association with other extraterrestrial researchers. Pleiadian’s are very concerned about the misuse for our sciences today on Earth, and are worried that we will destroy our planet and ourselves. They are concerned that we have completely lost our spiritual center and harmony with our sciences. Pleiadian’s have no use for money, politics and religious rituals and doctrines, which are used by manipulative elites on Earth. Pleiadians have left descendants on the Earth in the past and are willing to help us, but not to the point of changing our evolution and becoming responsible for our race. Earth must create its own future and either correct our mistakes or suffer because of them. In contrast with the elite-driven greed on Earth, the Lyran extraterrestrials, which seeded the Earth, were inspired by a consciousness associated with spirituality that grounded their sciences into humanistic dimensions of service to the “greater good” with a collective consciousness of love, peace, and wisdom. Dr. Salla and other colleagues documented that the Lyrans sought to create no shrines or temples, except for nature itself. According to the Lyran system of social ethics and spirituality, real faith was not formulated in creeds, but rather a sense of social and environmental responsibility among Earth humans for each other. Dr. Salla documents that the Lyran's are is only interested in our intent, and the path of our heart. A civilization of beings that choose a relative path of evolution associated with affirmed quality-of-living and spiritual renewal for all , versus a regressive, de-evolutionary path of greed, and oppressive power, as Earth’s elites, which will eventually result in the destruction of Earth. looking for answers .. was recently told i was pleiadian. Never fit in with my family but my dad. I have a birth record but i was recently told that i was adopted . Past life reading stated that i had pleiadian dna and was sent to earth ..